SWAN range, directly installed to your production lines, fitted with absolute filter(H 99,999%), permits to wipe out dangerous working dust that may compromise the quality of the finished component. This modular filter unit has a wide range of accessories that allow you to customise the Vacuum according to the real needs of your business. SWAN range, directly installed to the production lines, fitted with absolute filter (H 99,999%), is the right form that permits to wipe out dangerous working dust who might compromise the quality of the finished component. 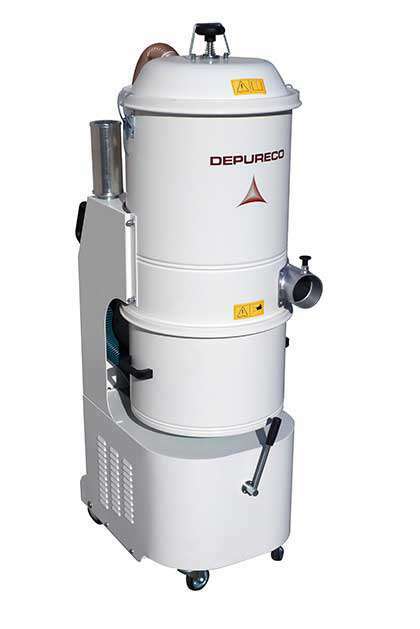 The recycling of the pharma, chemical filtered dusts or from laser working, are only some of the many applications where the SWAN range can operate. This modular filter unit has a wide range of accessories that allow you to customize the Vacuums according to the real needs of the customer, furthermore SWAN range can be supplied in Stainless Steel AISI 304 or 316.